The MarkMagic 2D Laser Barcode Add-On makes it easy to print 2D barcodes such as QR codes, USPS MaxiCodes, and DataMatrix 2D barcodes on standard laser printers. You no longer need a thermal barcode label printer to print 2D barcode labels. Using the MarkMagic 2D Laser Barcode Add-On a standard laser printer can become a full-featured barcode label printer. In addition, certain industries, particularly those that ship directly to the consumer, require that the shipping document contains both a pick ticket and a FedEx Ground or UPS carrier labels, or other shipping labels with 2D barcodes. MarkMagic was designed from the beginning to adapt to new barcodes and printer technologies. 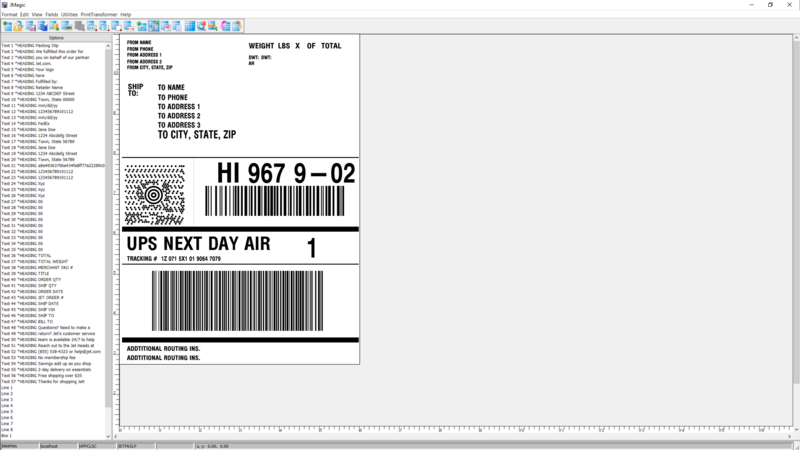 This add-on is ideal if you’re looking for an easy way to print USPS MaxiCodes, and shipping labels for UPS, FedEx, or DHL. INTERESTED IN THE 2D LASER BARCODE ADD-ON? Contact us to try this add-on for free. Easily add 2D barcodes to your forms and labels. Contact CYBRA to discuss your specific software and hardware needs, and to see how 2D Barcode add-on can positively impact your forms and labels development.